Welcome to the "Tsar Bomba" of sound systems. . . . . NEWS FLASH! ... . . . Latest info on this system can be found on my Blog pages. . . . . . . . . . . "More Photos" pages updated with vintage photos from 20 and 30 years ago . . . . . . More photos on the May & June 2006 Blog pages. 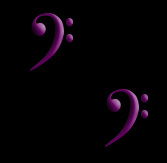 . . . . . . . .
Basspig Now Has Live Streaming! 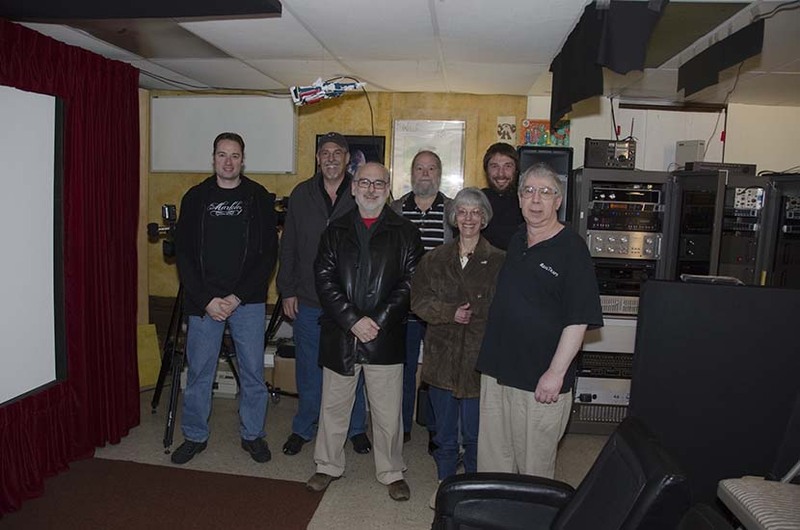 Click here to scroll down to view it..
UPCOMING: Basspig Audiophile Society Social, March 30, 2019! It's been a few years, but we're finally going to run another audiophile get together here at the Lair. For those that are unable to attend, it will be viewable on a life stream, visible further down this page. This year's event will feature a lab demo, audio demo, and DCI 4K projection with 3D material and 2D material that we shot in various countries. This is the meet for audiophiles who are also into home theater tech. RSVP to let us know if you can attend. For nine years, I have been wanting to fill my screen with a full 4K image and 2.4:1 ratio for movies. This year, I finally realized that goal, with the addition of the Sony VPL VW-765ES projector, which provides full DCI 4K (4096 pixels wide) and 17:9 native aspect ratio. Here is the rough wood assembly, out of poplar, before sanding and painting. Here is the interface plate, attached to the mount. 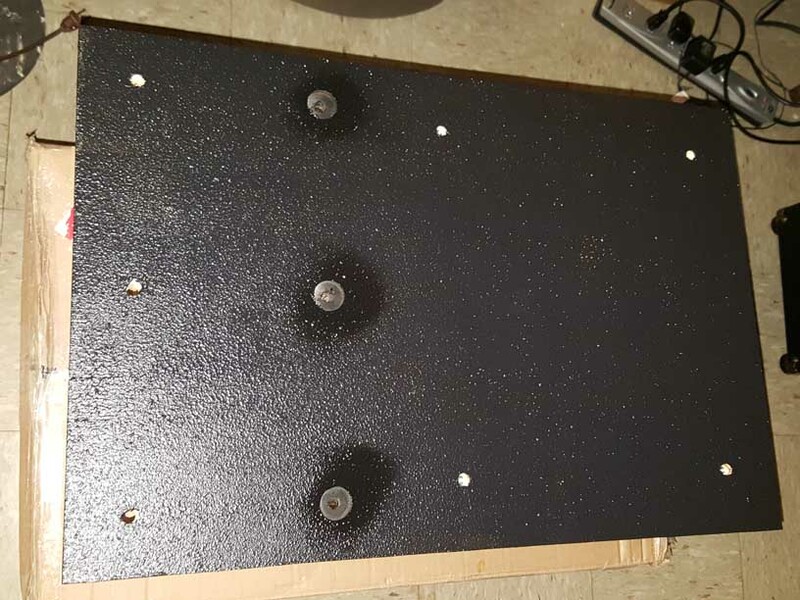 The plate has four M-8 T-nuts to which the box shelf will attached by four M-8 x 30 mm bolts. This took some planning, because I have a vertical support column in the way, necessitating the offset from the beam. This is the result. Incidentally, this footage was shot in 16x9 on 35mb/s MPEG XDCam in 2008. I found that I could use the projector's lens memory and blanking to create a 2.35:1 widescreen image and it still looks clean and detailed. This project has been long in the planning and there are not many projectors that meet my requirements of both wide enough lens and DCI 4K (not UHD), as well as brightness, gamut, and deep color. Live Stream available for events at the Lair! For full screen, hover mouse over video, click the 'gear' icon and choose Popout. 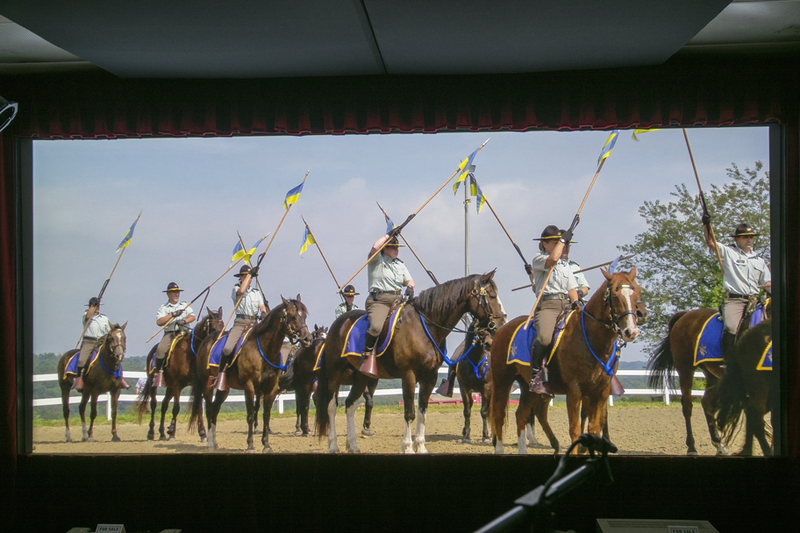 From the popout window, click the two headed arrow for full 1080P view of our feed! Android/iPad Users: Choose "Switch to Desktop Mode" if you see a white screen. Our last guest showed a BD of Baraka on our big screen, which provided a colorful and sometimes disturbing look at life around the world, focused mainly around Asia. All in all, a positive experience, many questions and positive comments. Hear Ye, Hear Ye! 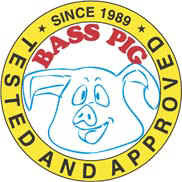 Announcing the FIRST EVER Basspig Audiophile Society Social (B.A.S.S.)! One of my guests, and a good personal friend, Dr. V, wrote an interesting blog post about his visit to the Lair. You can read it HERE. The Bass Pig's electronics laboratory. 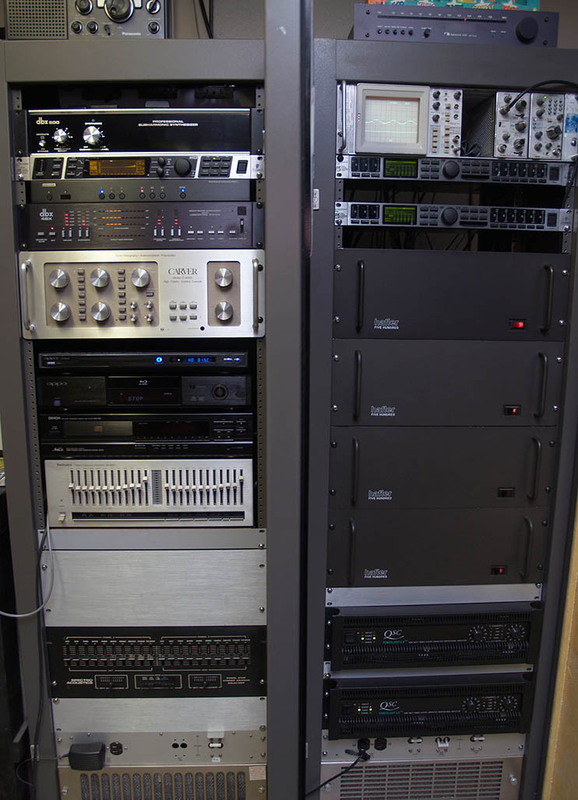 Here is where I design, build, modify, and repair audio equipment. There's too much to list (I get a case of "Crow Epistemology" when I try to recall all the model numbers), but the highlights are the Tektronix AA-501 Distortion Analyzer and the HP 3585A Spectrum Analyzer, which are two important tools that I use for analyzing the performance of audio and RF amplifiers. 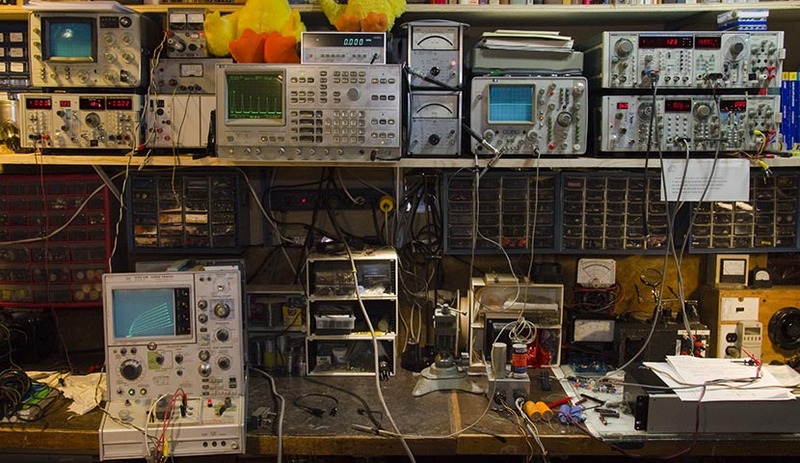 I have an assortment of function generators, ultra low distortion oscillators, power supplies, digital multimeters, temperature probes, and a Tektronix 576 Curve Tracer. That last item is my tool of choice for testing vacuum tubes. I have also found it useful, with a pair of probes, for troubleshooting in-circuit components. Electronics has been my profession for over forty years. I'm now officially making my D-500 modification service available to the audiophile community, after many requests. I've refined the modifications and added a few tweaks to make the amp topology more stable. On top of that, I tune the amp on a spectrum analyzer for lowest distortion. I've written about this modification on my own D-500 a few years back. You can find out what it entails. The purpose is to fix some wiring topology problems that prevent this otherwise amazing amplifier from reaching its full musical potential. If your D-500 suffers from hum and buzz (especially from light dimmers) and the problem is more severe in the left channel, then my modification will eliminate the interference. In addition, I replace any aging capacitors, particularly the one in the low voltage control board PCB assembly, which is known to fail often. 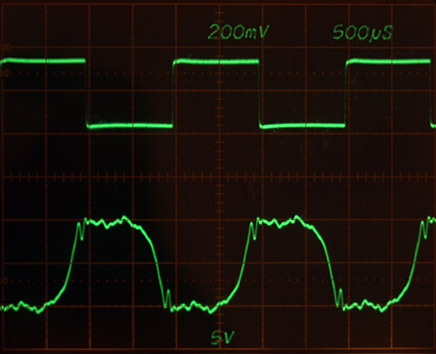 The D-500 is also a bit unstable and tends to oscillate ultrasonically, especially if driven to clipping. I add parasitic filter capacitors to the B+/- busses to prevent this condition, which could damage your speakers, if severe enough. Enough people have begged me to offer this service, so here it is. 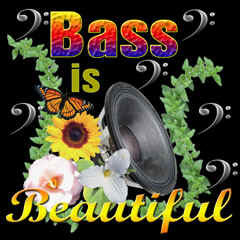 Contact me at basspig@(this domain name basspig.com) to make arrangements. If you live in the northeast, walk in drop off pickup is often the best and safest way to deliver your D-500. The analog equalizers are no longer in use, due to my tighter restrictions on noise floor of devices in the External Processor Loop. I am solely using the DEQ2496 for this purpose, as it contributes less hiss to the overall chain. some modifications to make the amplifier more stable. For more photos and to see photos that have been moved from the front page, go to the More Photos section and select 2009 photos. Recently, I became curious about reproducing square waves, acoustically. I knew that this is generally an exercise in futility, given that there are so many factors ranging from driver alignment, phase rotation vs. frequency, room reflections/acoustics and even audio electronics, particularly audio player DACs. My first step was to find a good square wave source. My Oppo BDP-83 failed miserably at that, producing a generally square-shaped wave with higher frequency sine waves riding on top, decaying to near zero by the zero crossing of the fundamental wave. I ended up using a high quality DAC that I use for recording professionally, to produce a decent enough square wave. That was fed through a mixing desk and 40' of cheap coax to the Carver C4000. This is the output of the C4000 (top trace). Bottom trace is what a Behringer ECM8000 omnidirectional measuring mic picked up in the center seat of the front row. Needless to say, it wasn't as bad as expected. It indicates that room reflections are well controlled, even from the live (rear) end of the studio. From a listener standpoint, it was always apparent that the system presents excellent transient response, but I like to confirm what I hear with measurements. 500Hz in room square wave response measurement at listener position. The plan denotes a 'false wall' which supports a new perforated screen material from Seymour AV, which is highly-rated for audio transparency and visual performance. 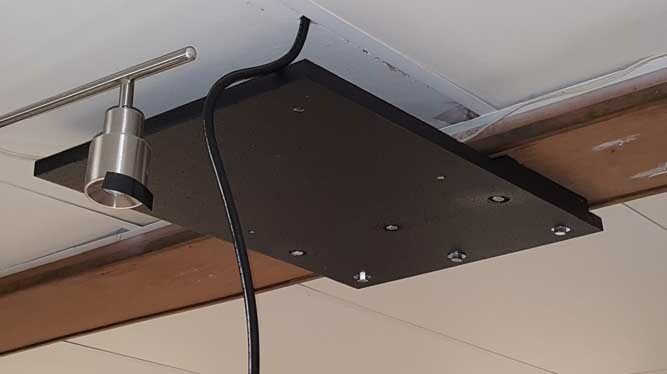 The frame supports a sub-frame with the screen, which is secured by deadbolts for easy removal for cleaning and maintenance and is tilted down slightly to maintain perfect alignment with the projector's image plane, which has a fixed 36% offset. I purchased an InFocus IN82 projector, which provides 1920x1080 native HD resolution. Theater enthusiasts will notice that the screen is a 2.35:1 aspect ratio. The new screen and false wall completely conceals my not-so-pretty array of speakers, and finalizes my 25-year dream of turning this into a theater. Why did I wait so long? Because until last week, I did not see a projection system that would rival direct-view plasma screens. What I saw at a friend's house in July 2009 (I went there to help him calibrate his projector and achieve dark, inky blacks with great success) totally changed my perception of projection technology. This new DLP stuff has contrast ratios that exceed my LCD TV screen by 5:1! I was seeing deeper blacks on the big screen than I saw on my LCD. Hence, a milestone was reached. So I immediately researched projectors, found one with even better shadow detail, based on screen shots and reviewer comments, and looked on eBay and lo and behold, I snagged a $5,400 projector for $1,425 open box with 76 hours on it! I immediately went to work on designing a screen and making a materials list. So here is what the final concept is expected to look like. I expect to be able to use a lightweight velvet material for the drapes, in as dark a burgundy red as I can find. The projection (active) area of the screen is 12 feet wide by 5 feet high. A pixel of 1920x1080 will be 0.043", or about the size of the period on a typewriter keyboard. After seeing my XDCam footage from a Blu-ray disc that I authored on my friend's projection system, I developed a new respect for the CineAlta line of cameras! PHILOSOPHY -- To prove that LOUD and HI-FIDELITY are not mutually-exclusive. It may not look like much, but thanks to long-stroke, it displaces over 8,000 cu in of air. So much has changed here since my last writing. 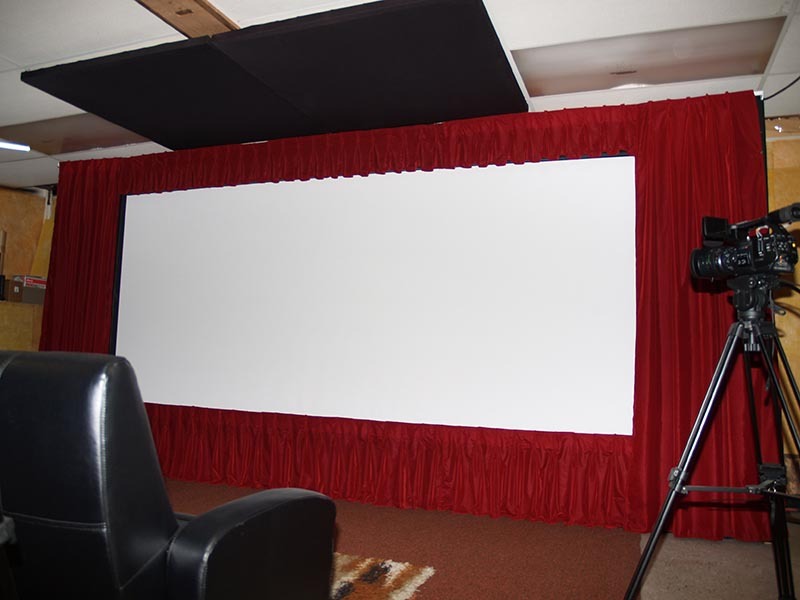 The addition of a screen and projector arose out of a visit to a friend's home theater, to tweak the colors on his new projector. I was a skeptic on projectors for years, as none of what I'd seen 'til recently was even close to a cinematic experience. I came away from that session, forever a changed man! So the changes you see here are a direct result of my experience of July 2009. I finally decided that the technology had reached the milestone where I was willing to invest. A series of events fell together so easily, that it could almost be said that "divine intervention" wanted this theater project to happen. 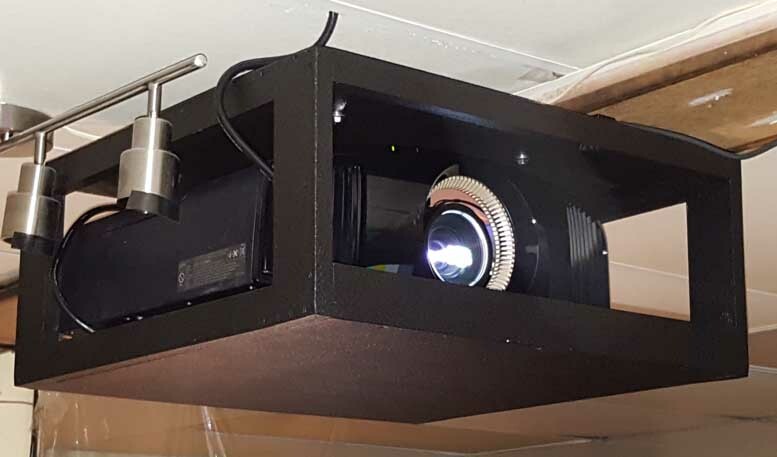 The appearance of a very expensive projector on eBay, at the right time, and at an unbelievably low bid price due to a lack of bidders, the help I received from family and the speed and smoothness with which I planned the construction, all made this a reality in just three weeks. What I'm writing about in this column is about the audio side of things. 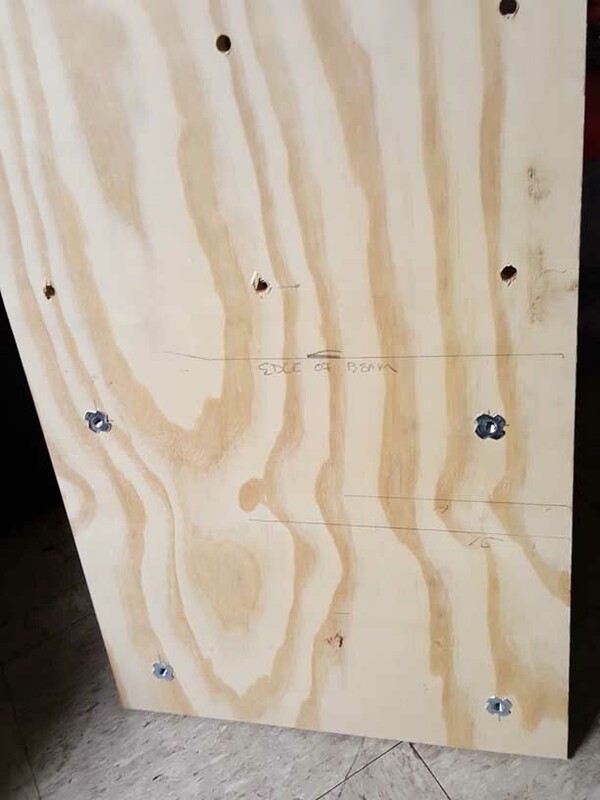 Given that I was erecting a semi-permanent screen wall, I wanted to address some acoustic treatment issues once and for all, which I had been procrastinating on for more than 25 years. I bought many boxes of acoustic fiberglass panels and finished the treatment of the wall behind the speakers. 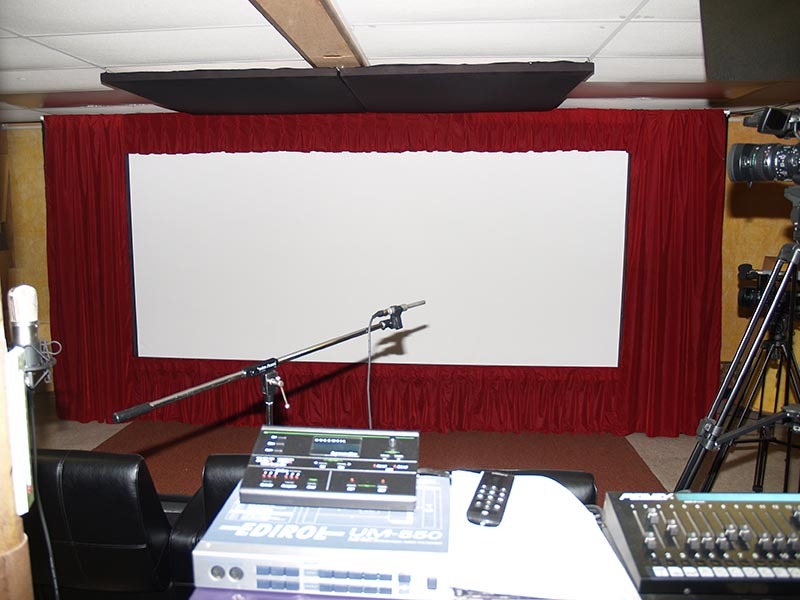 The screen arrangement begged for a tighter speaker arrangement. With the LCD panel removed, I could populate that space with the mid-bass cabinets. (I had tested the effect of putting one double 18" cabinet in that central position about 15 years ago and the result was a visceral increase in bass.) Recalling past experience, I knew there would be some benefits to having all the woofers close-coupled. Getting all the cabinets down to a sixteen foot-wide footprint proved to be very beneficial. 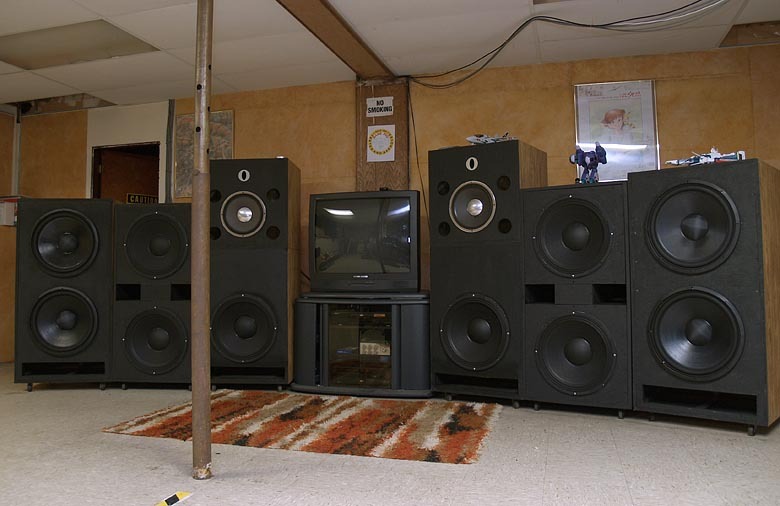 The former arrangement with the four foot gap in the center was inefficient because it created a situation where the woofers acted as two separate sound sources, introducing cancellations of low frequency energy down the center. Moving them all together created a unified sound source, eliminated the cancellations and also gave the benefit of mutual coupling, making the whole cluster act like one sixteen foot woofer. At a given reference power level, the increase in SPL was about 6dB, just from moving the cabinets together to form one unified source! The biggest challenge to deal with is that the seating is located dead middle of the room's length. Since the room acts as a waveguide, it's apparent that 2X the wavelength of the room will be the frequency at which the back wall's reflected wave will cancel the front incidental wave. That frequency is 36Hz in the center of this room. The dip was especially deep and narrow, in this case. I later discovered that the dividing wall between this room and the next was resonant at... you guessed it--36Hz! 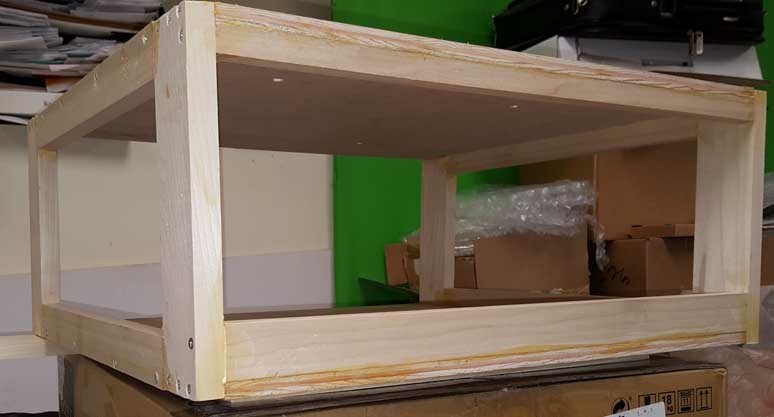 I mass-loaded it with concrete panels from the other side, and added a 4x6" brace in the middle, to bring the resonance up to 55Hz. Lo and behold, the dip at 36Hz is not nearly as deep and not so narrow anymore. The next step to solve the reflected energy is to add plywood resonant panels to the back wall. 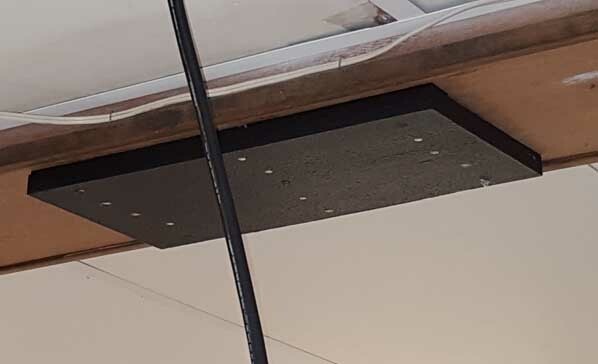 These panels will be tuned to 36Hz and their function will be to absorb only that frequency so that it won't be reflected back to the center of the room where it causes cancellation. I've already built some bass traps, and a friend of mine donated a couple of bass traps that his company manufactures. Acoustically, the room sounds quite neutral now. If Bob Carver could hear this!